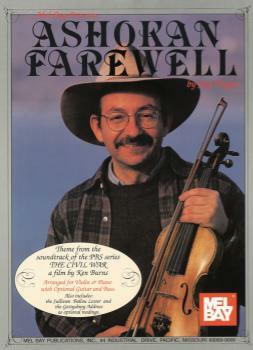 "Ashokan Farewell" is best known as the plaintive theme from Kenneth Burns' highly acclaimed Civil War television documentary. In addition to Jay Ungar's authorized solo edition as performed in the documentary series, this folio contains the touching Civil War era "Sullivan Ballou Letter" and Lincoln's famed Gettysburg Address. Arranged for violin with piano accompaniment and suggested chord symbols for optional guitar and bass. Separate pull-out violin part.